Plenty of dive centers on Lembongan. 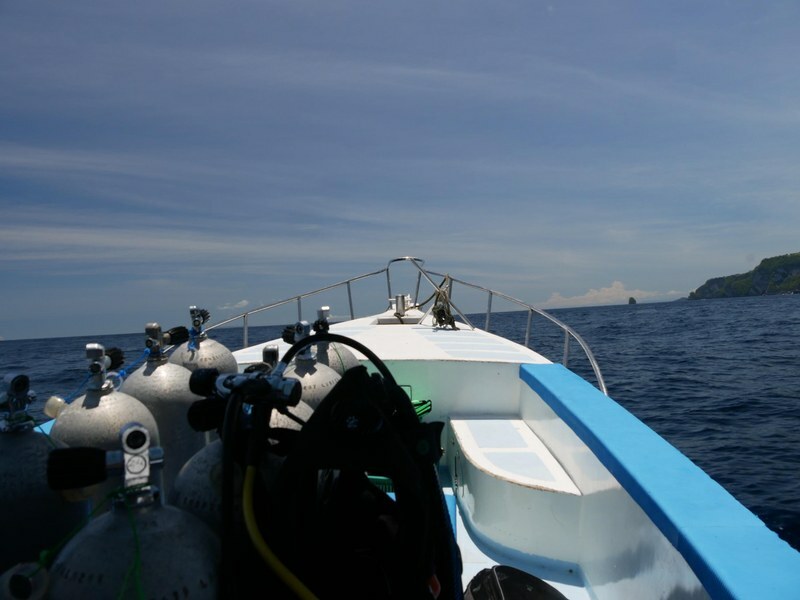 The highlight is Manta Point, a place some 15 meters under water where mantas come for cleaning. It's essentially a big manta car wash where mantas wait in line, slowly circling, for their turn to be cleaned by several types of small fish. So you hove there and watch these huge mantas gliding through the water, slowly waving their long wings, and fanning water into their big gaping mouths to extract krill. Impressive!